With ten years of solid presence, Muriya, Oman’s largest and most diversified private real estate and tourism developer is committed to contributing to the development of the Sultanate. Through a successful partnership between the internationally acclaimed builder of fully-integrated towns, Orascom Development Holding (ODH) and Oman Tourism Development Company (OMRAN), the leading government arm for tourism development in Oman, Muriya to date has invested $650 million. Our contributions include 1000 operating hotel rooms in 5 years, 420,000 hotel guest nights in 2017, 100s of homeowners and creating 1000s of direct and indirect jobs. Muriya is a joint enterprise between two internationally acclaimed builders of fully-integrated towns: Orascom Development Holding and Omani master developer Omran. Orascom Development Holding (ODH), 70% shareholders in Muriya, bring with them more than 25 years of experience in developing destinations and towns in the Middle East and Europe. Building from the ground up, ODH creates unique sustainable developments in prime locations that embody a holistic approach to life. Their geographical aims are unconventional and their undertakings are creatively inspired. Working to combine value with quality, ODH’s projects are long term, they are culturally sympathetic and they are well-integrated with the wider community. Not simply a developer, ODH is a community creator. Local expertise and support comes from 30% shareholders, Omran. Omran drives the investment, growth and development of the rapidly growing tourism and property sector in the Sultanate of Oman. 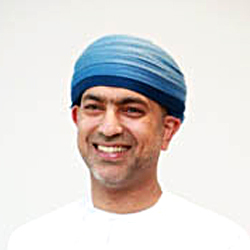 The master developer behind major tourism, heritage and urban developments in Oman, it has delivered some of nation’s most iconic projects, creating new destinations and experiences that benefit the social and economic growth of the Sultanate, with core philosophies of integrity, transparency and collaboration. Established by government mandate in 2005 in line with the aim of strengthening and diversifying Oman’s economy, Omran has a proven track record of delivering tourism and related projects to a world-class standard, partnering with renowned regional and international investors. To contribute meaningfully to Oman’s economic development, ensuring long-term value for tourism, real estate and leisure, while empowering the local community to thrive and prosper. 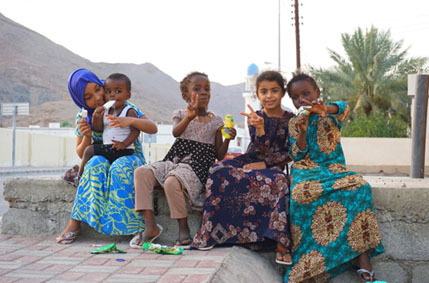 We strive to develop communities within premium developments that foster tourism across Oman as well as deliver engaging and positive experiences for our clients and partners. Adding value; that is what Muriya is about. As the largest touristic developer in Oman, our uniqueness lies in developing fully assimilated projects that organically evolve into fully-fledged, sustainable towns. Our communities are integrated, centred around well-being, supporting local businesses and bringing people together. 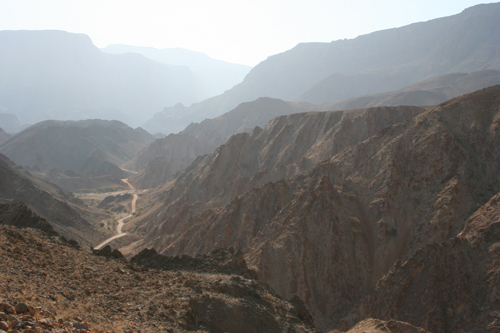 As a company, we invest long-term in our projects and in Oman. Stable and beautiful, this is a country with endless potential. Here, His Majesty Sultan Qaboos bin Said al Said and his government truly support intelligent and sustainable development projects like ours, investing continuously in the country's infrastructure and tourism offerings. Because Muriya focuses on the long term, any investment with Muriya, whether in property or in our projects' wider opportunities, is also a long term, appreciating one; as each addition and evolution in the project brings more value. Value in our developments goes much deeper than just the investments however. The very nature of our projects means that we create an incredible amount of job opportunities and truly support the growth of local SMEs. In each of our projects, we have seen inspirational SME success stories; there are unlimited opportunities for enterprising entrepreneurs to build prosperous businesses. Our people are at the heart of what we do and Muriya is one of the leading incubators of SMEs in Oman, something we are particularly proud of. Our aim will always be to build sustainable and thriving towns that balance fantastic returns for our stakeholders with worthwhile contributions to the local economy, society and environments. We look forward to welcoming you to our projects in Oman so we can show you just what makes Muriya's developments so special. 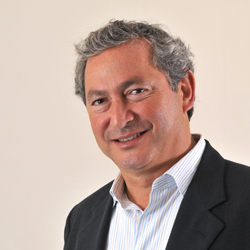 Samih Sawiris, born in Cairo as the middle son among three sons of Onsi Sawiris, founder and president of Orascom conglomerate. He received his Diploma in economic engineering from the Technical University of Berlin in 1980. He is the founder and Chairman of Orascom Development Holding (ODH.SW), a Swiss- incorporated company listed on the Swiss Stock Exchange (SIX). Orascom Development is a leading developer of fully integrated destinations that include hotels, private villas and apartments, leisure facilities such as golf courses, marinas and supporting infrastructure. Orascom Development’s diversified portfolio of destinations is spread over nine jurisdictions (Switzerland, Egypt, Montenegro, England, Mauritius, Oman, UAE, Jordan and Morocco). The Group currently owns 35 hotels, with 8,135 guestrooms and over 1,000 rooms under development in the different countries. 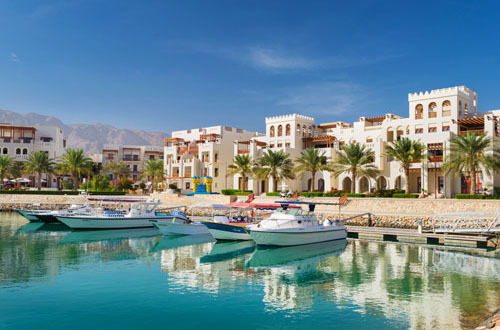 ODH operates eight destinations; Andermatt in Switzerland, Four in Egypt: El Gouna, Taba Heights, Haram City and Makadi; The Cove in United Arab Emirates and Jebel Sifah and Salalah Beach in Oman. Samih is a major shareholder of Orascom Construction Industries (OCI N.V.) a Dutch based global producer of natural gas-based chemicals and engineering and construction contractor with projects and investments across Europe, the Americas, Asia, the Middle East and North Africa. He is also a significant stake holder in Lafarage (LG.FP); world leader in building material & major player in the cement, aggregates and concrete industries, operating in 64 countries and listed on the Paris Stock Exchange. In addition, Samih is a member of Sawiris Foundation, which was founded in April 2001, with an endowment from the Sawiris family, dedicated to social development. Muriya benefits not only from the exceptional financial knowledge and expertise of its Board Member, Sheikh Nasser bin Suliman Al Harthy, but also from the outstanding vigour and enthusiasm he brings to his role and the team and most importantly the company’s growth trajectory. 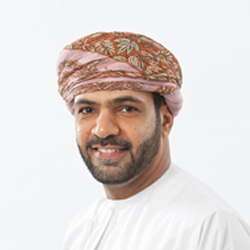 In addition to his role at Muriya, Sheikh Nasser is Director General of Investments at Oman’s Ministry of Finance with wide-ranging responsibilities from developing investment strategies, measuring risk in multiple sectors and directing compliance to identifying investments in new markets and negotiating investment agreements. He has also served as Director of a variety of the Sultanate’s leading companies, including Oman Air, Oman Airport Management Company, Haya Water, Oman Housing Bank, Oman Dry-dock Company, and Oman Trading International. A graduate of Victoria University, Australia with a Master’s in Business administration, Sheikh Nasser also holds a BA in Accounting from the United Arab Emirates University, Abu Dhabi. 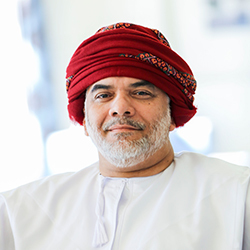 He is passionate about generating economic growth in multiple sectors and has a strong and enduring belief in the remarkable possibilities of Oman as a landscape for global investment. Salah Al Ghazali brings significant experience in public and private sector Foreign Direct Investment in the real estate, manufacturing and tourism sectors to the Muriya Board. Currently Omran’s Head of Development Partnerships & Investor Relations, Al Ghazali has previously held the positions of Director of Investment Portfolio Management and Senior Investment Manager within the organisation, playing a key role in corporate restructuring, business planning, corporate governance and strategic implementation at the Joint Venture level. 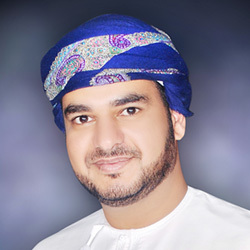 Prior to joining Omran, Al Ghazali led the Investment Strategy Development Team at the Public Authority for Investment Promotion and Export Development (Ithraa), where he identified potential investment projects and sectors in the Sultanate and established partnerships between international investors and local companies. He was also instrumental in the establishment of Majan Development Company, one of the first Shari’a-compliant Real Estate companies in Oman. Khaled Bichara currently holds the position of Chief Executive Officer of Orascom Development Holding. He is also a Co-Founder of Accelero Capital. Khaled previously served as Group President and Chief Operating Officer of VimpelCom Ltd (“VimpelCom”). He was also Chief Executive Officer of Orascom Telecom Holding S.A.E. (“OTH”) as well as Chief Operating Officer of Wind Telecomunicazioni S.p.A. (“Wind Italy”). He played a pivotal role in the merger of VimpelCom with Wind Telecom S.p.A, (“Wind Telecom”) for a total consideration of USD 25.7Bn to create the world’s sixth largest telecommunications carrier. Khaled was also the Co-founder, Chairman and CEO of “LINKdotNET”. Khaled also served as Group Executive Chairman of OTH as well as Chairman of Wind Italy. He currently serves as a board member and chairman of various telecom and IT companies. Khaled is also a board member of Orascom Construction Limited, a company dually listed on NASDAQ Dubai and the Egyptian Stock Exchange, as well as a board member of Orascom Hotels and Development S.A.E., a company listed on the Egyptian Stock Exchange. Khaled holds a Bachelor of Science degree from the American University in Cairo. He is also a member of the Advisory Board for the Computer Science and Engineering Department. 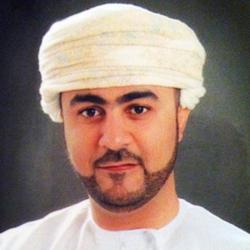 Mohammed Al Ibrahim is one of Oman’s most accomplished entrepreneurs. With 19 years of experience in the fields of investment and economic development, Mohammed is widely regarded for his seamless execution of innovative ideas and ability to lead large organizations. Mohammed began his career at Dolphin International LLC, working his way to the position of Managing Director and expanding the company’s global portfolio across multiple sectors. Since then, he has continued to drive the company’s development whilst serving in a variety of roles for a diverse range of other financial and business institutions. This includes serving as a member on the board of Bank Dhofar, Sita & Bashaer Environment LLC, C. Steinweg Oman LLC, and Mobilift & Partners LLC. In addition to these roles, Mohammed shares best practices and expertise as Chairman of Falcon Oilfield Services and Vice Chairman of Dhofar University. A graduate of the prestigious Strayer University, Washington DC, where he received a Bachelor of Science in Business Administration, Mohammed also received extensive executive training at the MIT Sloan School of Management. A highly accomplished investor and entrepreneur of demonstrated capabilities, Haythem Macki has extensive experience and exposure in banking, investment banking, management and private equity. 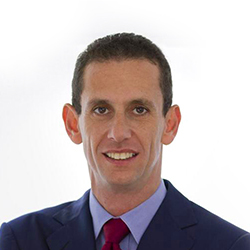 As a Member of the Board of Directors of several listed and privately held companies in sectors such as Aviation, Construction, Education, Financial Services, Food, Hospitality, Logistics, Technology, Tourism and Waste Management, Haythem provides valuable advice and inputs particularly in regards to pursuing vision and direction. 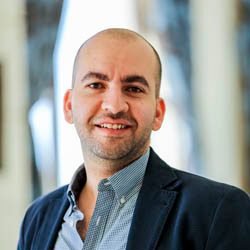 Haythem holds a Bachelor’s degree in Business Administration from the University of Arizona, USA and has trained with leading international financial institutions such as the World Bank, JP Morgan, Chase, and IBJ International. In addition, he has participated in, and contributed to, workshops and seminars on a diverse range of topics including treasury management, global fixed income securities, derivatives, FOREX, interest rate and asset management. 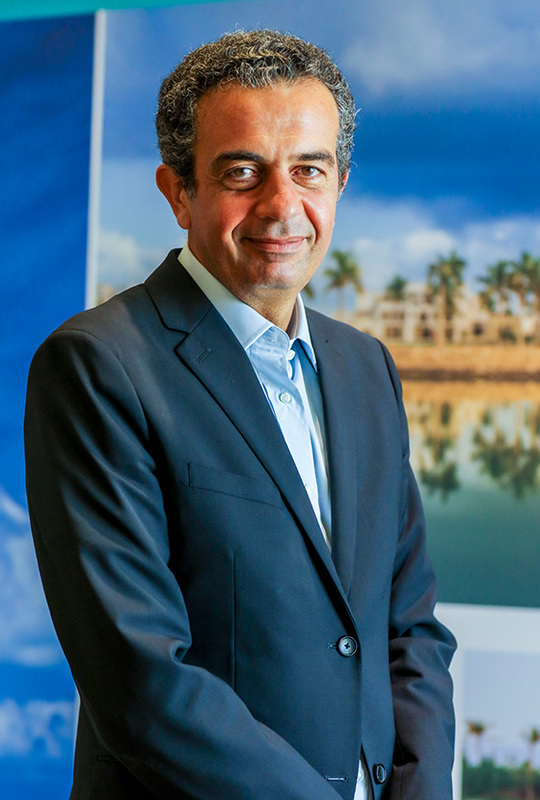 Abdelhamid Abouyoussef, Chief Hotel Officer of Orascom Development Holding (ODH) is a tourism entrepreneur who began his career in the design and installation of hotel electro-mechanical systems before moving on to project management. He founded Shores Hotels in 2004, managing a single 200-room property. Highly successful, the company now has six hotels in four locations across Egypt with a total of 1,600 rooms. In addition to his role in ODH, he is a board member of other tourism companies including Sinai for Touristic Investments, Sinai for Hotel Management and Touristic Marketing, Golden Sharm Resort, Mediterranean for Touristic Investments and Allied Touristic Investment. A graduate of the University of California at Berkley with a Master’s Degree in Mechanical engineering, Abdelhamid also holds a Bachelor’s Degree from the American University in Cairo. Passionate about cars, he is a commission member of the International Federation of Automobiles. 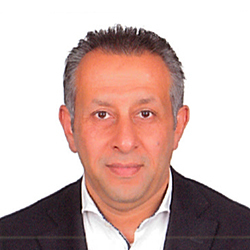 With more than 20 years’ experience in various industries including finance, infrastructure and hospitality, Ashraf Nessim currently holds the position of the Chief Financial Officer of Orascom Development Holding. He is also the Chief Financial Officer of Orascom Hotels and Development, the largest Egyptian subsidiary of the group, which encompasses 64 subsidiaries in total. 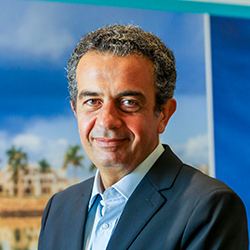 Prior to joining the Orascom Group, Ashraf was Beltone Private Equity Chief Financial Officer for their Pick Albatros Investment, one of the largest players in Egypt’s travel and tourism industry with almost 6,000 rooms under management. In this role, he played a pivotal part in the legal and financial restructuring of the Pick Albatros Group. From 2007 to 2010, he was Group Chief Financial Officer of Mobiserve, a leader in the mobile telecommunications network infrastructure of nine countries in the Middle East and South Asia. Prior to this, he established the operation of Raya Distribution in Algeria and managed merchandising activities in Nokia and Samsung’s 34 shops in Egypt. Ashraf holds a Bachelor’s of Mechanical Engineering and was one of the first people in Egypt to be awarded CFA credentials, the most respected and recognised investment management designation in the world. 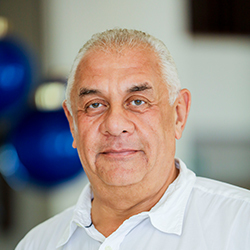 Muriya Board Member Zoltan Kali is a highly experienced real estate investment professional who has held senior managerial and leadership positions across the world. With a background in hotel investment and asset management, he has been extensively involved in a variety of real estate asset classes including integrated resorts, office, residential, and mixed-use developments. His dealings in a broad range of industries and businesses have given him an in-depth understanding of macro-economic and organisational issues. 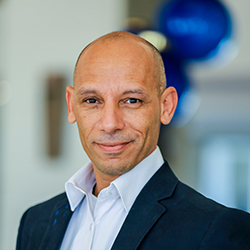 Currently Omran’s Acting Chief Asset Management Officer, Zoltan began his career in the Third Sector before joining KPMG, where he worked for a decade in the Real Estate, Leisure and Tourism sector for Europe, Middle East and Africa. Prior to joining Omran, Zoltan was with the State General Reserve Fund of Oman (SGRF), where he was responsible for its hospitality portfolio related transactions and asset management. 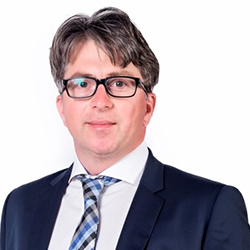 Zoltan has a Bachelor’s degree in Sociology, as well as an MSc degree in Engineering and an MBA from Case Western Reserve University of Cleveland, with a specialisation in International Management and Finance. As the CEO of Tamweel, an Orascom Development subsidiary, Dr. Zahran brings 27 years of experience as an industry expert to his role. Dr. Zahran’s extensive background has seen him successfully lead large financial institutions in a variety of senior roles including Vice President of Mashreq Bank, General Manager - Head of Credit & Marketing and Board member of Delta International Bank as a well as Senior General Manager of Egyptian Gulf Bank among other roles. Widely regarded as one of the region’s most knowledgeable experts in Finance and Banking, Dr. Zahran has shared his expertise with students as a lecturer for the American University in Cairo and the Arab Banking Academy in Jordan. Dr. Zahran has graduated from a number of highly prestigious organizations including the American University in Cairo, Cambridge University, Harvard University’s CEO Program, and The Wharton School of the University of Pennsylvania among others. A dynamic industry leader, respected for his expertise in developing strategies for real estate and integrated tourism destinations, Muriya’s CEO Ahmed Dabbous skilfully heads the company’s portfolio of projects. Through his leadership, he ensures complete alignment of their growth with Muriya’s vision and values of creating lifestyle experiences and contributing with long-term value for the tourism, real estate and retail sectors. Prior to joining Muriya, Ahmed was CEO of Soma Bay Group, an exclusive integrated touristic project on the Red Sea. He was responsible for all aspects of developing the project and managing the relationships with the management chains managing the destination’s hotels. His earlier career includes various senior positions in finance and management with major companies including the International Finance Corporation and leading real estate development company, SODIC. 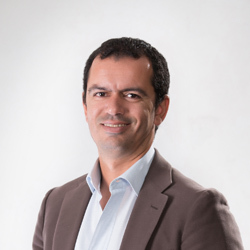 With an education in finance and investment management and a reputation for results, Ahmed is a graduate of New York University’s Stern School of Business with an MBA in Finance and International Business. He also holds a bachelor’s degree in Economics from the American University of Cairo. Ahmed Amin Salem is currently a Senior Director of Administration at Muriya Tourism Development, and began his career with the company as Operations Manager in 2005. Ahmed’s proven track record and insightful performance has positioned him as a strong and valued contributor to the company’s growth and secured his rise to senior leadership. A seasoned professional with a strong background in management, Ahmed’s work ethic has played a key role in establishing 15 subsidiary companies such as SBTDC, STBC and Sodah Island Company as well as securing title deeds for homeowners at Muriya’s Integrated Tourism Complexes along with issuing all operation permits and license for all companies. Ahmed began his career with Egypt Arab African Bank as a Credit Officer in 1984, where he remained for six years. 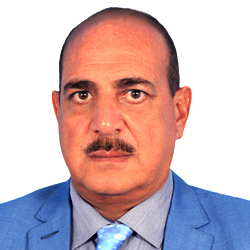 In 1990, he joined Mohamed Amin Ahmed as Head of Evaluation Department where he led a team in the technical evaluation of projects with multinational corporations for privatisation of the public sector. Prior to joining Muriya, Ahmed served as Partner and General Manager of Engineering Co. for Trade & Distribution, where he delivered strategic managerial support to major local projects. Ahmed holds a B.A. in Business Administration from Cairo University’s Faculty of Commerce. Elwy Hussein Elwy brings impressive and wide-ranging experience with major international companies to his role as Muriya’s Chief Financial Officer, a position he has held since 2013. 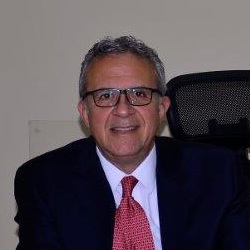 A high seasoned professional, Elwy began his career in finance in 1995 when he joined Proctor & Gamble after graduating in accounting from the Faculty of Commerce at Ain Shams University in Cairo, Egypt. In 2004, he moved to Fayrouz International/Heineken prior to being recruited by leading private equity company Citadel Capital, where he specialised in Corporate Finance and Accounting after which he focused on the Turn Around Role. He has worked for Orascom Development Holding since 2012, transferring to Muriya in 2013. As Chief Financial Officer, Elwy is responsible for funding existing and new investments and expansions, as well as manages the group’s cash flow, accounting and reporting. He also leads the taxes and cost saving initiatives, in addition to the improvement, control and set up of business processes and supports key business and operations strategies. As Vice President Government Affairs, Issam Al Barwani represents Muriya in all VIP Governmental Affairs and Government Relations. Joining Muriya in 2008, he was Vice-President for Human Resources and Senior Director for Destination Operation in Salalah. Educated in the United States and the United Kingdom, he is a Human Resources and Public Relations expert, trained and skilled in international negotiation and diplomacy. Boasting a wealth of experience, Issam joined Muriya from the Grand Hyatt Muscat where he held key senior management positions including Director of Protocol and Liaison and Executive Human Resources Director, while also being a member of the executive team of Hyatt International. 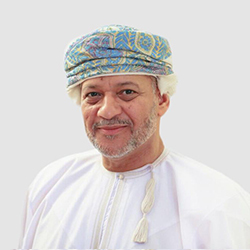 Prior to his time with the luxury hotel chain, Issam enjoyed an extensive career with the government of Oman, working in the offices of the Minister of the Diwan and the Governor of Muscat. He also served as Member of the Municipality Council in the Projects and Finance Committee, as well as the Legal Committee according to Royal Decree No.12/2002. As Vice President of Construction, Mohamed Ragab’s solid, principled leadership has led to the completion of many high-profile projects valued over 500 Million Omani Rials. He first joined Muriya in 2008 as General Director, responsible for the completion of the Al Sodah Island Project. His extensive track record and attention to detail in all aspects of construction and development align perfectly with the vision and values of Muriya – to create lifestyle experiences that contribute long-term value to the tourism, real estate and retail sectors in Oman. Before joining Muriya, Mohamed was the General Director of Construction at Orascom Construction & Industrial in Egypt, responsible for the completion of the Alexandria Desert Road sugar factory. His earlier experience includes projects for residential and non-residential, infrastructure and industry in Egypt and Saudi Arabia. Mohamed holds a bachelor’s degree in civil engineering from the University of Cairo and has also completed several industry-related training courses throughout his career. Olvia Amr possesses an extensive understanding in how to spearhead real estate, tourism and leisure development in multi-billion dollar corporations. Repositioning companies, restructuring departments and turning businesses around, Olvia successfully helped develop some of the most exciting destinations. With over 14 years of experience in building brands, creative communications, commercial awareness and solid business development skills, she transferred her wealth of knowledge to the GCC market working as Senior Commercial Director at Muriya. Prior to this, Olvia held the position of Executive Communications Director at Egypt’s largest publicly listed real estate development company, SODIC. She was overseeing the company’s marketing, public relations and corporate social responsibility programmes. 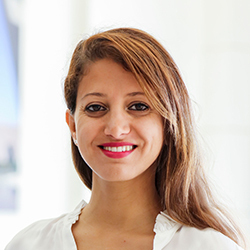 Earlier in her career, Olvia spent five years at Orascom Hotels and Development’s Marketing Department achieving a successful track record in working closely with the group’s real estate, hotel & resorts’ business, including the group flagship tourist destination, El Gouna, located on the coast of the Red Sea north of Hurghada, Egypt. Olvia holds an MBA degree from Maastricht School of Management in 2008. 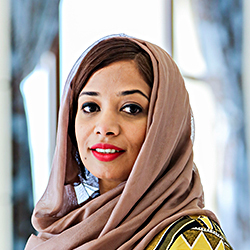 With twelve years plus experience, Human Resources Director, Samira Said Al Bahri joined Muriya in 2008 after working in a variety of key Human Resources roles in the hospitality industry in Oman. Among her many professional achievements is being highly successful in developing effective teams for improving productivity and quality enhancement, as well as the formulation and implementation of sustainable Human Resources Strategy for the most diversified destination developer in the Sultanate. An enterprising leader with excellent communication and people management skills, Samira has a remarkable range of expertise and industry knowledge in the Human Resources Field. Samira Holds a Master’s Degree in Business Administration from the University of Strathclyde in the United Kingdom. Mostafa Adel brings over ten years of in-depth knowledge and expertise in providing strategic legal guidance to his role as Muriya’s General Counsel, a position he has held since 2013. A proven team leader and trusted advisor, Mostafa started his legal career in 2006 as a Paralegal for AmerellerRechtsanwälte in Egypt. In 2008, Mostafa joined Muriya as Legal Affairs Manager, and achieved a number of significant milestones including the establishment of the company’s legal department. Mostafa has extensive and diverse experience in different industries and territories, including working for Metito Utilities Limited in Dubai, as Contracts Manager, and in Orascom Development Holding as Corporate Legal Director. Mostafa returned to Muriya in 2013, as General Counsel and Board Secretary. Mostafa leads the company’s Legal Department and serves as its senior attorney. His responsibilities include safeguarding the company’s interests and its ability to realise its strategic objectives, while ensuring Muriya’s operations are in full compliance with its Code of Corporate Governance, Omani laws and regulations. Mostafa holds a bachelor’s degree in Political Science from the American University in Cairo and LLB (Bachelors of Law) from Cairo University. Mostafa is also a certified arbitrator at the Egyptian General Union for Lawyers.